Police have ordered hundreds of football hooligans with banning orders to hand over their passports – or face arrest. 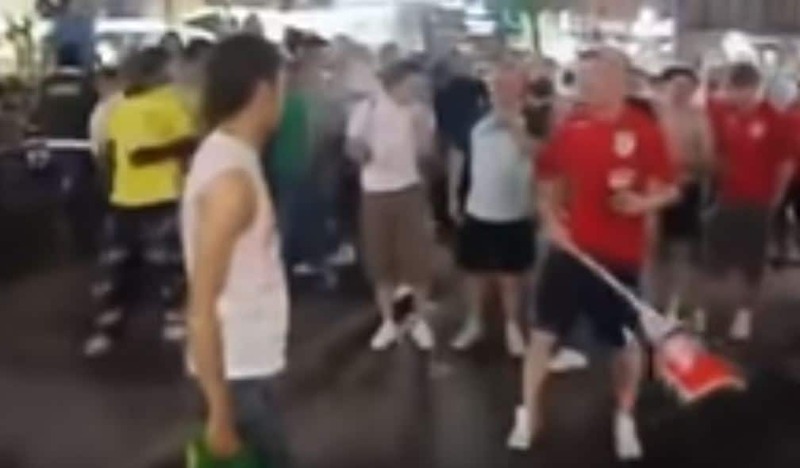 Officers will be patrolling airports in a bid to prevent any of the estimated 1,900 hooligans subject to bans from attending the Russia World Cup. The Metropolitan Police alone has a list of 132 fans slapped with a ‘football banning order’ that requires them to hand in their passports by today. There were 1,929 people with banning orders last August, the last time Government figures were published. Officers from the Met’s Football Unit will be at police stations across London ready to collect the passports of the footie fanatics. Fans under banning orders were threatened with arrest if they miss the deadline, as the Met announced an increased presence at major London airports. Sergeant Dave Hine, of the Met’s Football Unit, said: “We want to ensure that no fan who is subject to a football banning order is able to travel through Heathrow airport to the World Cup to watch England. A spokesperson from the Met said: “We are reminding Londoners who are subject to a football banning order to hand in their passports. “Officers from the Met’s football unit will be at a number of police stations in the capital on Monday, 4 June and Tuesday, 5 June to collect the passports. The Met reiterated that any fans with banning orders who do not ‘surrender their passports’ will be ‘pursued’ by police and be arrested. West Ham United had the most fans handed banning orders during the 2016/17 season, with 30 supporters banned from matches – out of a total of 517 new bans. Next PostEngland Rejects XI: Is our team of misfits better than the real thing?